The Ph.D. Forum will be held on the morning of May 23rd, 2018, as a full morning session during the main ICRA conference. To be considered as a workshop participant, applicants should submit the application package as instructed in “Application Instructions”. 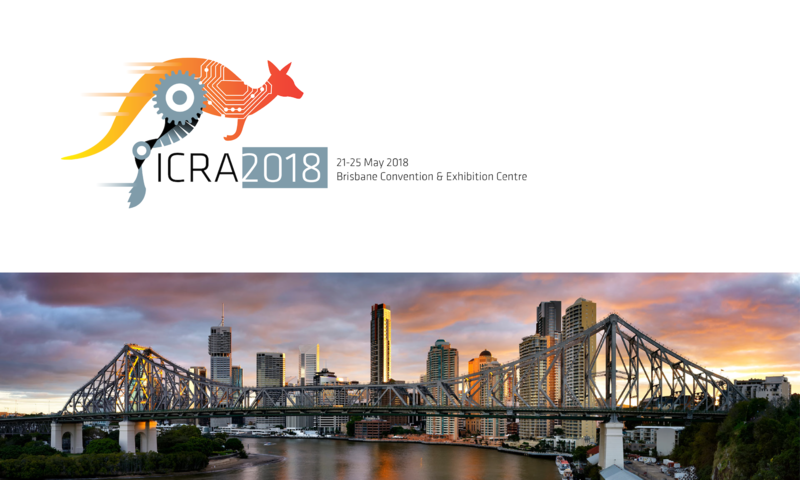 Students who are selected to participate in the forum will receive generous travel support participation at ICRA 2018. They will also have their 2-page abstracts published in a forum proceedings. We have an exciting panel of leading roboticists who will be working closely with forum participants in exploring trends in robotics and providing insights into their own career trajectories. Paul Newman is the BP Professor of Information Engineering at the University of Oxford and an EPSRC Leadership Fellow. He heads up the Oxford Robotics Institute within the Department of Engineering Science which enjoys a world leading reputation in mobile autonomy, developing machines and robots which map, navigate through and understand their environments. He obtained an M.Eng. in Engineering Science from Oxford University, Balliol College in 1995. He then undertook a Ph.D. in autonomous navigation at the Australian Center for Field Robotics, University of Sydney, Australia. In 1999 he returned to the United Kingdom to work in the commercial sub-sea navigation industry. In late 2000 he joined the Dept of Ocean Engineering at M.I.T. where as a post-doc and later a research scientist, he worked on algorithms and software for robust autonomous navigation for both land and sub-sea agents. In early 2003 he returned to Oxford as a Departmental Lecturer in Engineering Science before being appointed to a University Lectureship in Information Engineering and becoming a Fellow of New College in 2005, Professor of Engineering Science in 2010 and BP Professor of Information Engineering and Fellow of Keble College in 2012. He was elected Fellow of the Royal Academy of Engineering and Fellow of the IEEE in 2014 both with citations for outstanding contributions to robot navigation. has a track record of delivering ambitious and complex research programmes while working with funders, stake holders, policy makers and the public. An example is the Oxford RobotCar Project which resulted in the UK’s first and only self-driving car on public roads. This was a complex and multifaceted project requiring not just technical leadership, but careful and timed engagement with legislative, industrial and legal stakeholders. It led to the founding of Oxbotica. 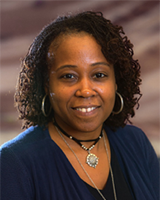 Prof. Ayanna Howard is an educator, researcher, and innovator. Her academic career is highlighted by her focus on technology development for intelligent agents that must interact with and in a human-centered world, as well as on the education and mentoring of students in the engineering and computing fields. Prof. Howard has made significant contributions in the technology areas of artificial intelligence, computer vision, and robotics. Her published research, currently numbering over 200 peer-reviewed publications, has been widely disseminated in international journals and conference proceedings. She has over 20 years of R&D experience covering a number of projects that have been supported by various agencies including: National Science Foundation, Procter and Gamble, NASA, ExxonMobil, Intel, and the Grammy Foundation. She continues to produce novel research and ideas focused on applications that span from assistive robots in the home to therapy gaming apps to remote robotic exploration of extreme environments. By working at NASA before entering the academic world, she brings a unique perspective to the academic environment. Currently, Prof. Howard is the Linda J. and Mark C. Smith Professor and Chair of the School of Interactive Computing in the College of Computing. She also holds a faculty appointment in the School of Electrical and Computer Engineering where she functions as the Director of the Human-Automation Systems Lab (HumAnS). In 2015, she founded and now directs the $3M traineeship initiative in healthcare robotics and functions as the lead investigator on the NSF undergraduate summer research program in robotics. She received her B.S. from Brown University, her M.S.E.E. from the University of Southern California, her Ph.D. in Electrical Engineering from the University of Southern California, and her M.B.A. from Claremont University, Drucker School of Management. To date, her unique accomplishments have been highlighted through a number of awards and articles, including highlights in TIME Magazine, Black Enterprise, and USA Today, as well as being named a MIT Technology Review top young innovator and recognized as one of the 23 most powerful women engineers in the world by Business Insider. In 2013, she also founded Zyrobotics as a university spin-off and holds a position in the company as Chief Technology Officer (CTO). Zyrobotics, LLC is currently licensing technology derived from her research and has released their first suite of mobile therapy and educational products for children with differing needs. From 1993-2005, Prof. Howard was at NASA’s Jet Propulsion Laboratory, California Institute of Technology, where she was a Senior Robotics Researcher and Deputy Manager in the Office of the Chief Scientist. She has also served as the Associate Director of Research for the Georgia Tech Institute for Robotics and Intelligent Machines, Chair of the multidisciplinary Robotics Ph.D. program at Georgia Tech, and the Associate Chair for Faculty Development in the School of Electrical and Computer Engineering. Allison M. Okamura received the BS degree from the University of California at Berkeley in 1994, and the MS and PhD degrees from Stanford University in 1996 and 2000, respectively, all in mechanical engineering. She is currently Professor in the mechanical engineering department at Stanford University, with a courtesy appointment in computer science. She was previously Professor and Vice Chair of mechanical engineering at Johns Hopkins University. She has been an associate editor of the IEEE Transactions on Haptics, editor-in-chief of the IEEE International Conference on Robotics and Automation Conference Editorial Board, an editor of the International Journal of Robotics Research, and co-chair of the IEEE Haptics Symposium. Her awards include the 2016 Duca Family University Fellow in Undergraduate Education, 2009 IEEE Technical Committee on Haptics Early Career Award, 2005 IEEE Robotics and Automation Society Early Academic Career Award, and 2004 NSF CAREER Award. She is an IEEE Fellow. Her academic interests include haptics, teleoperation, virtual environments and simulators, medical robotics, neuromechanics and rehabilitation, prosthetics, and engineering education. Her research focuses on developing the principles and tools needed to realize advanced robotic and human-machine systems capable of haptic (touch) interaction, particularly for biomedical applications. Haptic systems are designed and studied using both analytical and experimental approaches. Topics of particular interest are: (1) Teleoperation: Devices, models, and control systems that allow human operators to manipulate environments that are remote in scale and/or distance. (2) Virtual Environments: Models, control systems, and devices that enable compelling touch-based interaction with computers. (3) Robotic manipulation: Robots that physically manipulate their environment or their own shape, incorporating novel designs, sensors, and control systems. Application areas include surgery, simulation and training, rehabilitation, prosthetics, neuromechanics, exploration of hazardous and remote environments, design, and education. Lydia E. Kavraki is the Noah Harding Professor of Computer Science and Bioengineering at Rice University. She obtained her B.A. from the University of Crete in Greece and her Ph.D. from Stanford University. She directs the Rice Computational Robotics Laboratory and leads the NIH/NLM Training Program in Biomedical Informatics under the auspices of the Gulf Coast Consortia in Houston. Her research interests include motion planning, formal methods in robotics, manipulation and automation. Kavraki also develops robotics-inspired methods for computational structural biology and for computer-assisted drug design. She is one of the authors of the widely-used robotics textbook titled “Principles of Robot Motion” published by MIT Press. Her group has developed and currently maintains the Open Motion Planning Library (OMPL) (ompl.kavrakilab.org), an open-source library of motion planning algorithms. The library is heavily used in industry and in academia both for robotics and bioinformatics applications. Kavraki currently serves as an associate editor for the International Journal of Robotics Research. 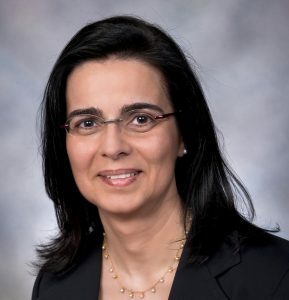 She has served as an associate chair and chair of “Robotics: Science and Systems.” Kavraki is the recipient of the Association for Computing Machinery (ACM) Grace Murray Hopper Award and the ACM Athena Lecturer Award. She is a Fellow of ACM, IEEE, AAAS, AAAI, AIMBE, and a member of the National Academy of Medicine. Prof. Peter Corke is the distinguished professor of robotic vision at QUT and director of the Australian Centre for Robotic Vision. He wrote the textbook Robotics, Vision & Control, authored the MATLAB toolboxes for Robotics and Machine Vision, and created the online educational resource: QUT Robot Academy. He is interested in how robots can use the sense of vision to accomplish a broad range of tasks. These might range from recognizing places or text in the world to dynamic tasks. An example of a visual dynamic task is something like hand-eye coordination, and for a robot it might be visual control of flying or driving or manipulation of objects. Why vision? Nature has invented the eye ten different times so it must be an effective sensor for doing a diverse range of tasks. Vision sensors and computing power are getting cheaper and cheaper. Now is the time to be doing vision for robotics! He received his Bachelor of Engineering and Master of Engineering Science degrees, both in Electrical Engineering, and a PhD in Mechanical and Manufacturing Engineering, all from the University of Melbourne. Prior to QUT he was a senior principal research scientist at CSIRO where he founded the Autonomous Systems laboratory, a 50-person team undertaking research in mining, ground, aerial and underwater robotics, as well as sensor networks. Subsequently he led a major cross-organizational “capability platform” in wireless sensor networks. Prof. Dieter Fox is a Professor in the Department of Computer Science & Engineering at the University of Washington. He grew up in Bonn, Germany, and received his Ph.D. in 1998 from the Computer Science Department at the University of Bonn. He joined the UW faculty in the fall of 2000. His research interests are in robotics, artificial intelligence, and state estimation. 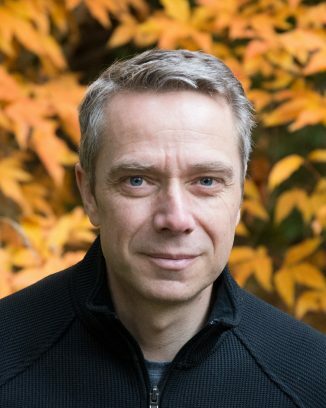 He is the head of the UW Robotics and State Estimation Lab RSE-Lab and currently serves as the academic PI of the Intel Science and Technology Center for Pervasive Computing ISTC-PC. He is a Fellow of the AAAI and IEEE, and recently served as an editor of the IEEE Transactions on Robotics. He is currently on partial leave from UW and joined Nvidia to start a Robotics Research Lab in Seattle. The ICRA 2018 PhD forum is proudly sponsored by the following organisations. Additional information may be obtained by contacting icra2018.phdforum@gmail.com.